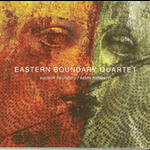 The EASTERN BOUNDARY Quartet is a collaborative quartet featuring the Hungarian master musicians. 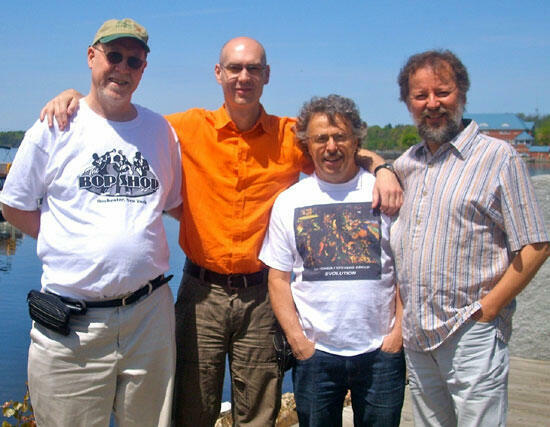 drummer Balazs Bagyi and saxophonist Mihaly Borbely, and the long-standing bass/piano partnership of New York City bassist Joe Fonda and pianist Michael Jefry Stevens (co-leaders of the Fonda/Stevens Group). 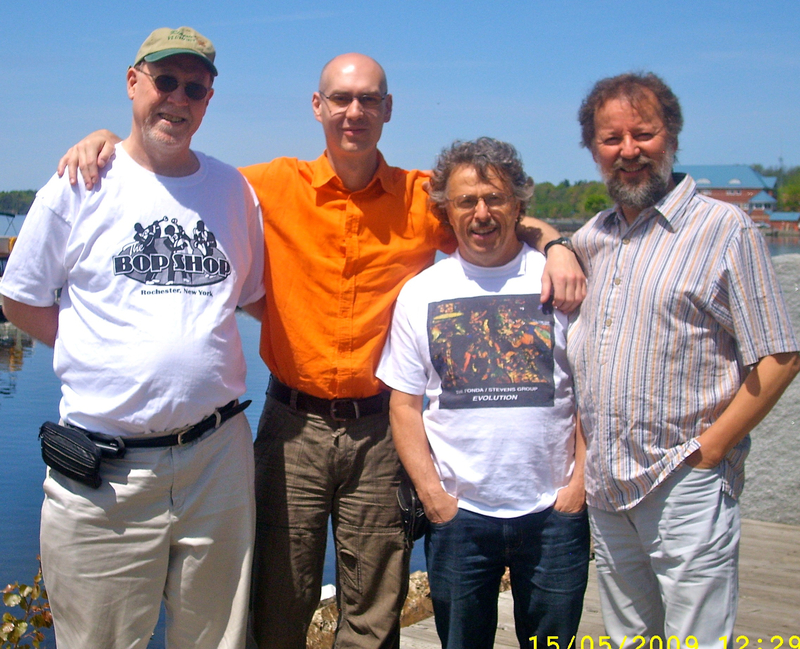 Since 2007 the quartet has toured Europe and the United States numerous times. 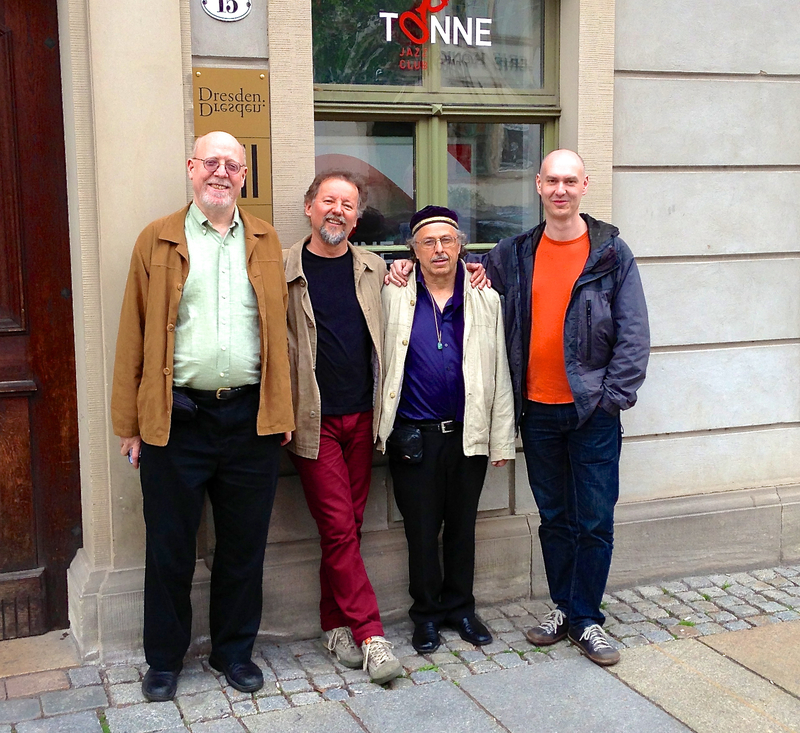 The Quartet will be touring the USA again in April, 2018. The group has released three CDs. Their 4th CD will be released to coincide with the upcoming April, 2018 tour.. 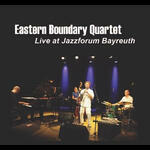 In 2007 Hungarian musicians Balazs Bagyi and Mihaly Borbely and USA musicians Joe Fonda and Michael jefry Stevens formed the Eastern Boundary Quartet. 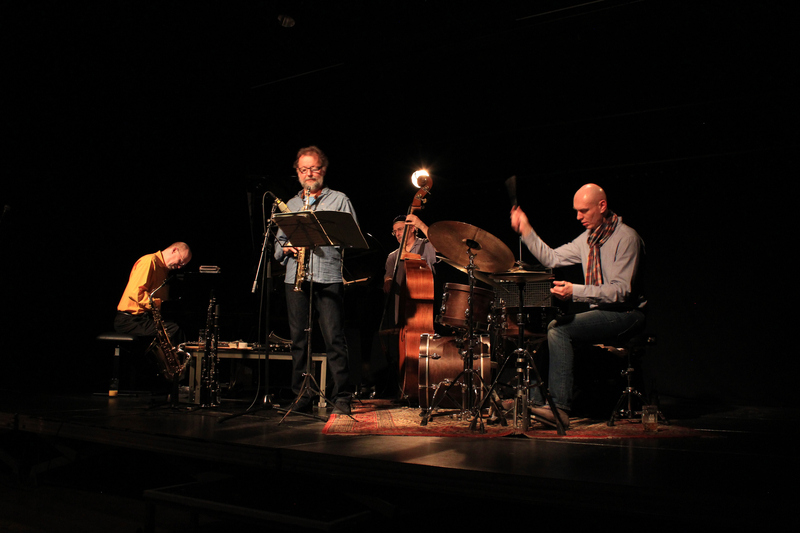 The group uses Hungarian folk rhythms and melodies in combination with Jazz harmonies and rhythms to form an original "hybrid" improvised music. 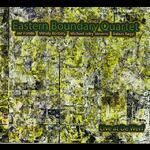 The Eastern Boundary Quartet performs original music by all members of the group. 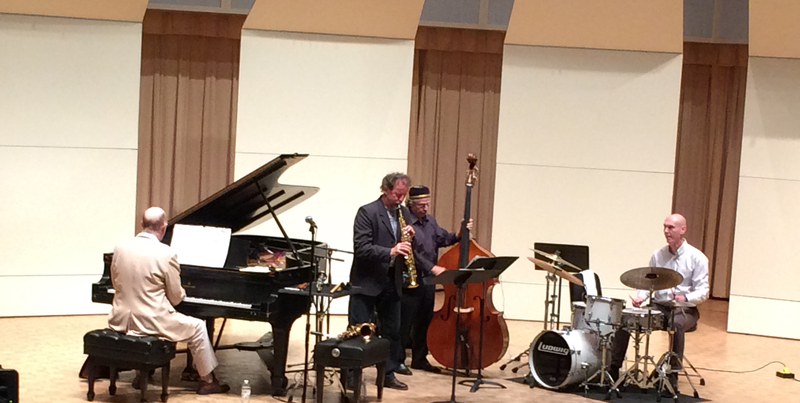 The band was formed with the imagination of connecting two worlds of the jazz scene today. 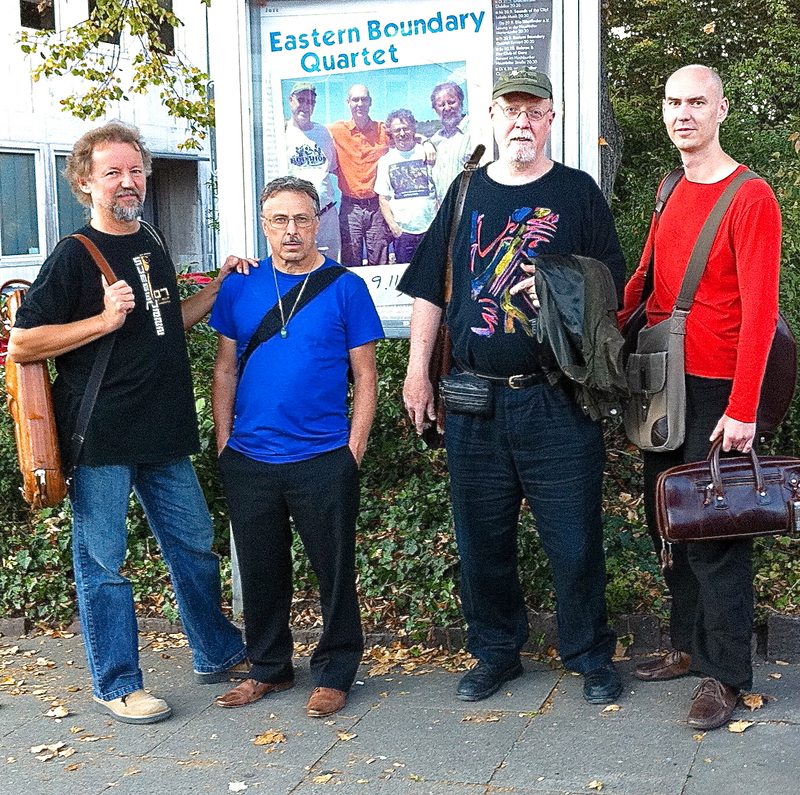 This unique collaboration is a mixture of avant-garde jazz and ethno music from Hungary, like a cultural bridge between the USA and Eastern-Europe. This bridge is made of talent, respect, brotherhood and friendship, built by the common language of jazz and improvised music. 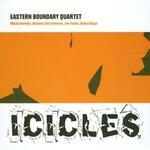 Eastern Boundary Quartet "Live at Jazzforum Bayreuth"
Eastern Boundary Quartet in Vermont 2009 "Icicles"